Abstract. 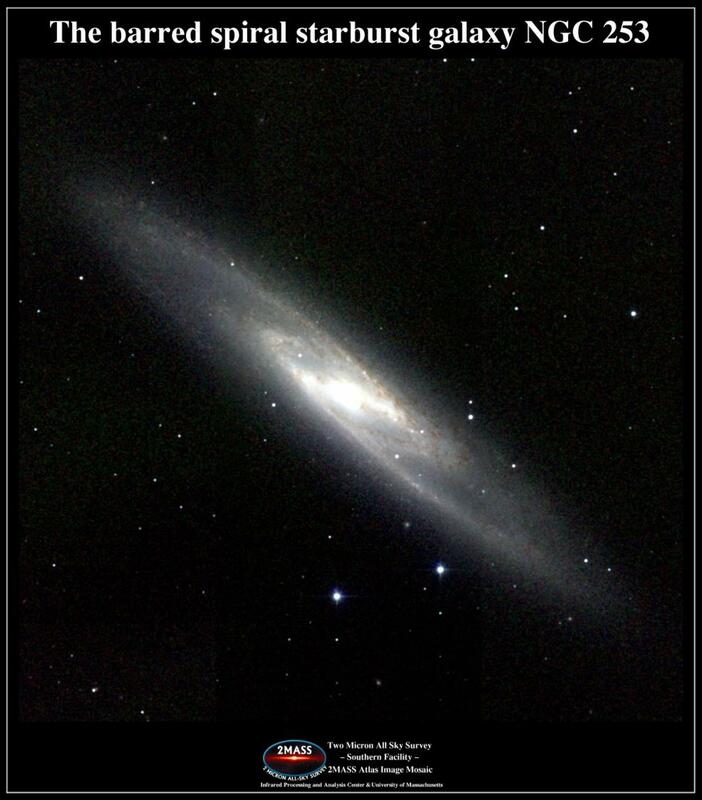 Here we present our first results of a study of the neutral hydrogen gas (HI) in the southern spiral galaxy NGC 253 with the Australia Telescope Compact Array. The relative proximity of NGC 253 makes it a very suitable object for detailed studies of large-scale, as well as nuclear, gas dynamics. Several peculiar features have been found. The HI distribution (see below) is asymmetric in the outer regions, probably caused by the strong warping of the spiral arms. A bar associated with the disc, clearly visible in the optical and near-infrared, also reveals its signature in the neutral hydrogen gas. HI-absorption measurements reveal unusual motions of the gas in the nuclear region which seem to indicate a fast-rotating ring of cold gas as well as outflow of gas. Similar features have been found in other starburst galaxies like M82, NGC 1808 and NGC 4945 and are interpreted in terms of bar-induced gas dynamics and star formation. Keywords. 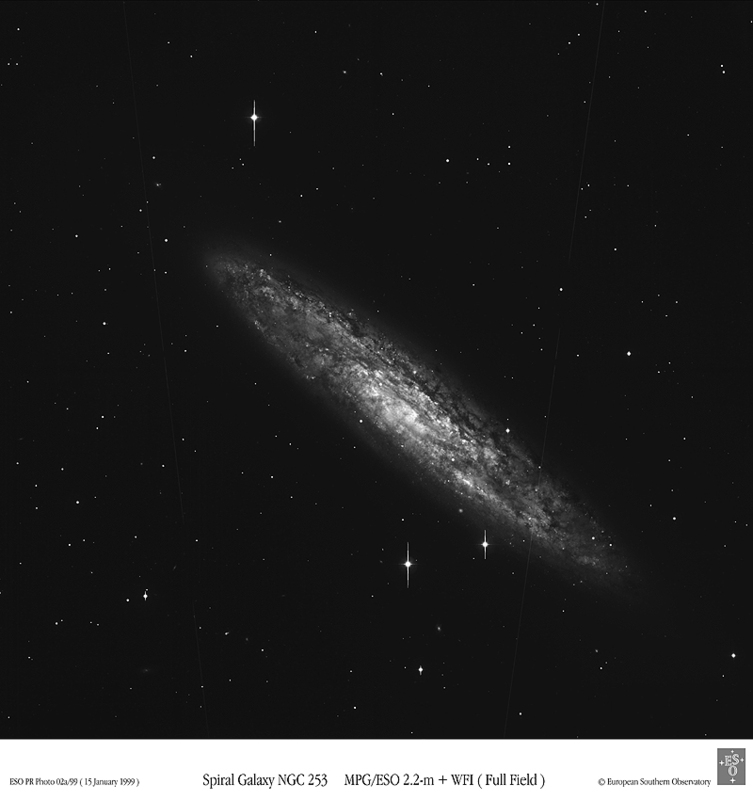 galaxies: individual (NGC 253) - galaxies: active - galaxies: ISM - galaxies: kinematics and dynamics.